We’d love your help. Let us know what’s wrong with this preview of The Darkest Path by Jeff Hirsch. A civil war rages between the Glorious Path--a militant religion based on the teachings of a former US soldier--and what's left of the US government. Fifteen-year-old Callum Roe and his younger brother, James, were captured and forced to convert six years ago. Cal USA TODAY bestselling author Jeff Hirsch once again creates a futuristic world with stunning, dramatic realism. To ask other readers questions about The Darkest Path, please sign up. I just checked it out at my school library, and I was wondering if its going to be a good book? Jacob DeBon Read it and find out. Who thinks this is a good book? Jessica This book doesn't have the greatest writing, but has an amazing storyline. this book does many unexpected things, and it does them well. i'm not sure if this is the first part of something, the way so many YA books are, but i really hope it is a standalone. the way the character is left at the end, with so many unresolved issues, but with a firm purpose in mind, is excellent, and i kind of don't want to see those issues resolved. those scenes would only diminish the strengths of the book, the elements that make it stand out from so many of its kind. and if you're just tu this book does many unexpected things, and it does them well. and if you're just tuning in to "karen's star ratings," you should know that three stars, for a book like this, is not at all a low rating. i am just rating it against all the other books i have read in the teen-dysto pantheon, and a three-star in that genre is pretty much the norm. this one brings several new twists to the game, and i really appreciated that. i like that i can still be surprised in a genre in which i have read so extensively. so it is the highest three a three can be while still remaining a three. the united states is in the middle of a civil war. a highly militarized religious cult called the glorious path has gained control over much of the country, and what remains of the old world order, the fed, is struggling to defeat them. cal is fifteen and six years before the events in this book, he and his younger brother james were taken by the path to california and essentially made prisoners, forced to follow the tenants of the faith and also contribute to the manual labor and military aspects of the movement. combining the rigorous obedience of both a religion and a military organization results in some pretty extreme situations; the path's mo is to roll up on a town and offer its inhabitants "the choice," basically "join or die," which has made them very successful, but it is a terrible regime under which to live. cal has been planning his escape for years, wanting only to protect his brother and get back to their parents in ithaca. 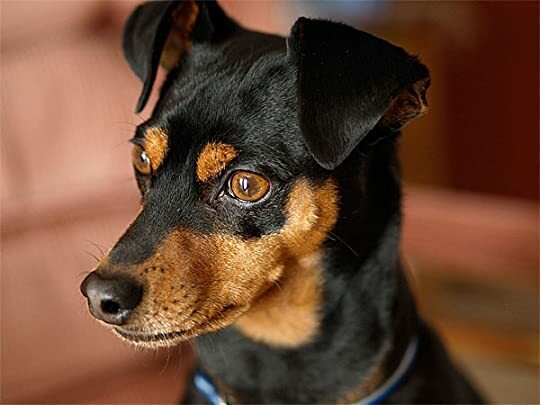 he gets his chance, or rather his choice is made for him, when, protecting a miniature pinscher from a sadistic path officer, he accidentally kills the man and is forced on the run. he tries to make james come with him, but james has been thoroughly indoctrinated in the path, and refuses. so cal and the dog, wearing a collar that says "bear," escape alone, pursued by the path army. along the way he will meet people who help him, but cal isn't some sweet innocent little kid escaping the big baddies. he has become hard in his years of imprisonment, he has learned how to be calculating, selfish, and manipulative, and despite you-as-reader wanting to see him succeed because you naturally want your protag in these books to succeed, he does get an awful lot of people killed and he makes some rash decisions that when they do work out, seem to only work out by chance. and poor bear!! being dragged through dangerous situations as such a tiny little dog!! BBBBEEEAAAARRR!!! i loved him. and about halfway through the book, i was reading outside, and i literally yelped out "no!! bear! !," so you can see where my loyalties were. the interlude with kate and the the others was a welcome break in the relentless violent action - these laconic, protected one percenters with no idea what is happening beyond their protected walls. i appreciated the novelty of this perspective after so much of the front-line narrative. definitely a book worth reading, and proof that there's still something "new" to be done with these kinds of storylines. one quick note, though, and it is more me being bewildered by a genre-norm than a criticism of this book, although it definitely applies. i understand the pull of "home," but characters in these kinds of books are always trying to get back to someplace and someone, sometimes years after the country has gone kablooie. what on earth makes people think there will still be someone there waiting for them? penelope aside, who's gonna stick around in some bombed-out building on the off-chance that johnny's gonna come marching home? this is just a bugbear of mine, and i completely understand it from a storytelling aspect, but it is maddening. also maddening: when characters in these kinds of stories encounter each other again after being separated by time and distance with no means of contact. the country is huuuuge. i can't guarantee that if i were separated from someone here in queens that i would ever run into them again, without knowing where they were likely to be found, let alone 3,000 miles away. sorry, that's just an eyeroll of mine. of course i understand why it's done, but it never fails to make me twitch a little. but - yes - good book! enjoy! I don’t have much to say on this one. It’s an average story. I read it in one sitting, and it’s quite an easy book to fly through, but at no point did it blow me away. The story follows Cal, a boy who has been captured by a military like government who has taken over sections of America. He runs away after killing the man who runs the dog kennel when he tries to hurt a dog Cal has bonded with. I honestly picked this book up just for that tidbit with the dog, because I’m always up for a cute human I don’t have much to say on this one. It’s an average story. I read it in one sitting, and it’s quite an easy book to fly through, but at no point did it blow me away. The story follows Cal, a boy who has been captured by a military like government who has taken over sections of America. He runs away after killing the man who runs the dog kennel when he tries to hurt a dog Cal has bonded with. I honestly picked this book up just for that tidbit with the dog, because I’m always up for a cute human/dog relationship. I felt really thrown in at the beginning, almost like the story was started in the middle and I had missed a ton of backstory. Eventually I was able to settle into the story, and while it was entertaining it was pretty much your run of the mill dystopian. Atmosphere is really the only thing I ask for with dystopian, and while this one didn’t excel on atmosphere it did have a good amount of suspense to keep me pretty interested, which is why it ended up being positively rated. However, I probably won't remember this story a week from now. Including a country at war with its self and a cultish regime that threatens to tear apart two brothers, the Darkest Path strikes you as a hauntingly original novel. With Darkest Path being his third book, Jeff Hirsch shows improvement in his mastery of storytelling. On a whole, Hirsch’s writing really shines when he creates scenes of tension and turmoil. It’s the dramatics that pull the reader in and invoke such strong emotions. But lets not forget about how he also manages to create great char Including a country at war with its self and a cultish regime that threatens to tear apart two brothers, the Darkest Path strikes you as a hauntingly original novel. With Darkest Path being his third book, Jeff Hirsch shows improvement in his mastery of storytelling. On a whole, Hirsch’s writing really shines when he creates scenes of tension and turmoil. It’s the dramatics that pull the reader in and invoke such strong emotions. But lets not forget about how he also manages to create great characters that helps set his writing apart. Spectacular book with thrills galore and wonderful world-building. Jeff Hirsch is a master of suspense. Be prepared to get up close and personal with what life can be like for the masses during a modern day civil war. The Darkest Path by Jeff Hirsch follows young Cal as he struggles to make sense of the war around him, while trying to get both himself and his brother across enemy lines and hundreds of miles to return to the family they have not seen in six years. Under a charismatic leader, an army of religious fanatics have risen up against a less-than-perfect American government and one by one s Be prepared to get up close and personal with what life can be like for the masses during a modern day civil war. The Darkest Path by Jeff Hirsch follows young Cal as he struggles to make sense of the war around him, while trying to get both himself and his brother across enemy lines and hundreds of miles to return to the family they have not seen in six years. Under a charismatic leader, an army of religious fanatics have risen up against a less-than-perfect American government and one by one states are falling to one side or the other. Corruption runs rampant, neither side is what they seem, and brutality and death are everywhere. Fifteen year old Cal sees things beyond anything his worst nightmare can conjure as a captive follower of the Path. The last straw comes when he saves a stray dog who steals his heart and becomes a symbol of normalcy for Cal in a world where he has been used, abused and seen as less than human. His desire to “go home” with his younger brother fuels him on as his journey crosses paths with both the good and evil in the world. Will there be anything left of Cal’s humanity? How much loss can he withstand? If he makes it “home” what will he discover? Will brother be pitted against brother? How does Cal decide which side is really The Darkest Path? Jeff Hirsch has built a brutal reality for his characters where there is no definitive line between good and evil, forcing his characters to choose what they consider to be the lesser of the two evils. He spares nothing in creating a sense of hopelessness and never eases up on the tension or the action in what is only a small piece of the turmoil taking place. Even the once strong are crumbling, yet through it all, as Cal’s character develops and grows, he finds moments of peace, loyalty and inner strength far beyond his years, risking himself for others. With crisp writing and attention to detail, Jeff Hirsch has created a fearsome reality that evokes total emotional involvement for the reader. I was simultaneously proud of Cal and shredded by some of his actions as he was forced to make hard and unselfish decisions to give up what he held most dear on his journey to discover what he needs most, to face reality, hold the past close and move on toward the future. I received a review copy from Scholastic Press in exchange for my honest review. At times filled with scary comparisons that could totally happen (just check out the endpages that have a picture of the takeover from The Glorious Path before and after the book's plot that make it starkly realistic) this has similarities to The Eleventh Plague with a futuristic and plausible occurrence that will make any reader think. In this story, centered around two brothers, they struggle to survive in the United States where a religious group is fighting to take over the states by infiltr At times filled with scary comparisons that could totally happen (just check out the endpages that have a picture of the takeover from The Glorious Path before and after the book's plot that make it starkly realistic) this has similarities to The Eleventh Plague with a futuristic and plausible occurrence that will make any reader think. In this story, centered around two brothers, they struggle to survive in the United States where a religious group is fighting to take over the states by infiltrating one by one and converting them. Case in point, Callum is used to pose as an informant warning of a Path infiltration and instead, is the Path and allows them to take over through their fear. But Callum has always wanted to escape, yet his brother, seems to have adopted the Path's religion and wants to remain. Setting up the story of Callum's survival with a dog in trying to get to a place of "freedom". The darkest path is good. It had up and downs. It had happy spots and sad spots. It also had a small love part and it had a little rebellion. it may have had assassinations but i wont say if it did or not. I recommned this to action lovers or people who love jeff hirsch books. I also rate it a 5 star. A really good YA read. 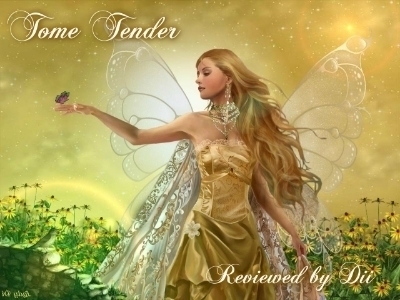 This one will appeal to those not looking for romance or supernatural themes. The pacing is quite fast and should keep most young readers turning the pages. The ending leaves room for a sequel or could be used as a creative writing jump off point. A boring, action-packed book... an oxymoron, but true. The Darkest Path is dystopian with the breakdown of a divided America. It is action-packed –military, helicopters, and full of thrills. Callum Roe isn’t some perfect protagonist, and we have a tough female girl, Nat, a great companion who would rather fight and risk her life than stay in a comfortable house not helping others. She is stubborn as well, and she doesn’t want to live knowing that she could’ve helped people but didn’t. I like the way the author uses the Path as an analogy The Darkest Path is dystopian with the breakdown of a divided America. It is action-packed –military, helicopters, and full of thrills. I like the way the author uses the Path as an analogy for religious beliefs. The Path manipulates, forces recruits to follow certain rules. Callum has his agenda, and the book is a page-turner how he escapes, struggles to find his parents and his own way. The author also includes a bunch of spoilt teenagers who have no clue of the pain and suffering out there. Their parents are wealthy and sent them to an isolated house with bodyguards. These teens don’t bother about the outside world and the lack of resources. They go on with their lives, partying, wasting, without a care in the world. But the breakdown of civilization affects everyone, and these teenagers are forced to defend themselves. Knock, knock, reality. Grow up, people! I thought of an ancient ship locked inside a glass bottle. What would happen if you broke the seal? Would all those accumulated years rush in at once, turning it to dust? It ends with a message of hope. In a dystopian world, where young children are forced to join military Glorious Path, forced to fight for beliefs they do not hold, it’s a human thing to cling to hope and find some purpose in living. Jeff Hirsch’s third novel with Scholastic, The Darkest Path, a YA dystopian adventure, is a descent into hell for young Callum Roe, who flees the fanatical Path Army that sweeps across the United States like a dark shadow. America is in the grips of a second Civil War. The 1% are even richer, and more untouchable than before, and the poor are poor, and forced into situations that aren’t safe or pretty. The Federal Army is weakening, the infrastructure crumbling. The young Cal is attempting to return home, and must travel through a fractured America with only his scrappy dog, Bear, as his only trusted companion. The Path Forces are close behind, a fanatical sect of America led by Nathan Hill, a religious and military bully who looms over the narrative, unseen, a dark magic man pushing buttons from behind the curtain. The Path loosely resembles a religious right sect, with strict Middle Eastern inspired gender roles enforced by law, and a fervor that matches the best of Sunday salesmen. If you are “on Path,” you follow God’s will, and Nathan Hill’s will, and seek to remake America into a beacon of light and hope. They are brutal, strict, and when they crush over your land they offer you “The Choice,” join their belief or die, or so everyone believes. What The Choice is, no one is sure and The Choice becomes a ringing motif in the novel, the theme extending beyond the Path’s brutality into Cal’s life as he makes choices, many of the split second decisions, that alter his path as he and Bear pushes East. In the first section, Cal’s brother, James, haunts the Path camp. He’s asthmatic, spiritual, and moving up Hill’s ladder. Cal has made a choice to give up his body for Path plans, allowing the Path army to beat him nearly to death so he can crawl into Federal camps, and like a human Trojan Horse, set up a trap for the Path soldiers. One day Cal, on dog detail, spots Bear in the middle of a ruined town. Cal can’t bear to see Bear turned into a vicious weapon, and is forced to kill his commanding officer, setting in play a series of events where James betrays Cal and sets Cal and Bear full throttle into the wilderness to return home to the East Coast. To family. To what Cal hopes is normalcy. But nothing is normal anymore, except war, unless you are rich and influential in the Path or Federal territories. For most Americans, life is a struggle against things you can’t really control. 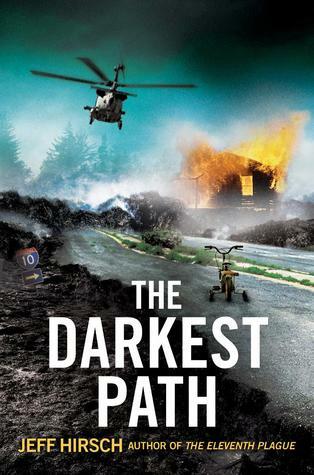 The Darkest Path is of course about more than a scrappy teenager being chased by nefarious forces, it’s also a platform for Hirsch to explore contemporary issues such as religious and military fascism, family, and more topical issues such as drone attacks, which are responsible for havoc in the American west during this second Civil War. Cal witnesses the death of innocents first hand and is powerless. In fact, Cal is powerless throughout most of the novel. Hirsch grinds Cal up, making him suffer as he tries to work his way back to Ithaca, like a teenage Odysseus with a dog companion instead of a host of mighty warriors. He gets beaten, almost sold out, thrown into cells, and thrown to the ground dozens of times in his quest to go home. If action is your cup of tea, Path packs it in. Fist fights, RPGs, fumbled rifles, helicopter attacks, and even a contemporary Wolverines--a group of teenagers fighting Red Dawn style against their ex-countrymen, keep the action rolling, rolling, rolling. Cal’s a thoughtful protagonist, despite the violence he contributes to, and his on-going feats of deception, which is mostly a by product of Nathan Hill’s Path training, and his natural ability to find trouble; he’s able to manipulate the situation to his benefit, without malice. Hirsch sets up Cal as a dehumanized figure in the Path regime. And in many ways The Darkest Path is a young man’s journey towards humanization again. He has to learn to trust himself, to trust others, even though he is burning from his younger brother’s betrayal. He gets to learn a little about love, too, from the equally broken Nat, who gets tangled up with Cal after she leads an explosive raid against Path forces. But mostly Cal learns that life throws punches, and that there are consequences for your actions, and that memory is not always reality. Alec, one of his transient friends, and a member of the rich elite (his father is a Hollywood big shot) confronts Cal's notions about returning to an America that no longer exists. “The future is coming whether you like it or not . I promise you, in a few years, we’ll all wonder what it is we got so worked up about.” Hirsch could easily be talking about American politics, or the American Dream, or even how Generation X’s middle class America is falling apart in the wake of economic crisis, political ineptness, and general apathy towards serving one's country, community, or even family. One of the covers Cal uses to explain why he and his dog are out in the wilderness is that he is camping with his father, something the Path would approve of, fostering self-reliance and male bonding. It’s a good cover for the young protagonist, and an open yearning for parental structure and love, something Hill’s Path forces want to provide, but fail to do. One of the more touching motifs in the novel is the songs Cal remembers from his childhood, and like a homing beacon, the song's memory pulls him deeper and deeper into a country torn to shreds, "Moonlight road/Why don't you turn me on around?/Moonlight road/Why don't you light my way home?" And that's the exigency of the novel, of the conflict, a yearning for security, love, and warmth. A place where one isn't judged by the path one takes, or has taken. The theme echoes through the characters, teenagers, and parents Cal meets on the way, particularly the aforementioned Nat, one of the cute girls Cal gets to spend some close time with. And these orphaned kids are not unlike the children of poverty that is resting in the real cradle of America. In the end there isn't much difference between Cal and Nat and the children of broken homes and broken families who struggle to make ends in a country where the one percent control the power. As the novel chases towards the end, Cal and James are reunited as the military action focuses its beam towards the Lighthouse, a recurring symbol through the book, where Cal is confronted with Nathan Hill, and his own choice, to either allow further death to occur or to be a force for life, for light. Hirsch doesn’t offer an easy conclusion, the novel concludes, like most good speculative fiction, with more questions, plenty of what if scenarios, candy for the mind, indeed. Cal is a 15-year-old boy from Arizona. He is currently stuck in a government place called path. Cal works in a kennel with the attack dogs. The man who trains the dogs is a horrible person. He abuses the dogs to make them aggressive. Cal eventually shoots him for a good reason. He is saving a dog that makes the entire book better. The dog is lovable because he goes from nervous to fully trusting. The dog's name is bear and he is a legend. I think a bear is one of my favorite book characters. I really enjoyed this book but was a little bit sad it wasn't a continuation of the Eleventh Plague. It was good and had a lot of controversial plot points that were intriguing to play out. For me, I would have enjoyed if it was a continuation but it was good even without continuing the Eleventh Plague. the darkest path was full of twisted mysterious turns that kept you on edge. throughout the book I was entwined in the dark plot that took a young boy and his companion a German shepherd through various challenges that resulted in new enemies, friends, and responsibilities. The Darkest Path was a great book that was very captivating and kept me on the edge of my seat. I actually own all of Jeff Hirsch's YA titles and they have been sitting on my shelf for a while. I finally felt an urge to read one of Hirsch's books recently when I received The Darkest Path in the mail. The Darkest Path is one of hundreds of dystopian books that I've read this year. The Darkest Path isn't the strongest dystopian novel, but it is extremely entertaining and was worth a read! I personally wanted to learn more about Th Check out Scott Reads It! for reviews, giveaways, & more! I personally wanted to learn more about The Glorious Path and The Feds. Hirsch provided the reader with a view of both sides, but I really wished this information was expanded upon. I would have loved to learn how The Path started and how the conflict escalated into a full-out war. I personally craved more world-building because the world building was minimal and very lacking. How did the states break up into The Path and The Feds? Why would people decide to join The Path? I wanted answers and I never really received any throughout the entire novel. I really enjoyed reading about this "Civil War" from Callum's point-of-view. I really loved Callum's relationships with Bear and his bother James. I really wanted to give furry Bear a cuddly hug and never let him go. I really wish the reader was given more finality on what happened to Bear; after a certain part in the story, Bear isn't mentioned ever again. Despite my small qualms with him, I really loved Callum's character and his determination to get home. The Darkest Path is filled to the brim w/ heart-pounding action scenes that were extremely well-written. The plot may not be the most original or the most refreshing, but it is extremely fast-paced and well-written. Aside from a shaky opening with an overwhelming amount of choppy sentences, the rest of the book is well-written and thrilling. Hirsch definitely knows how to write a gripping dystopian tale w/ extremely likeable characters. In the year 2026, there is a civil war raging in the USA. The nation is split up into two parties. There is the army of the Glorious Path which is a militant religion based on the teachings of a former US soldier, and what's left of the US Federal Government. Six years ago fifteen-year-old Callum Roe and his younger brother, James, were captured and forced to convert to the Glorious Path. While working in the Path's dog kennels, Cal became very close to becoming one of the Path's deadliest secre In the year 2026, there is a civil war raging in the USA. The nation is split up into two parties. There is the army of the Glorious Path which is a militant religion based on the teachings of a former US soldier, and what's left of the US Federal Government. Six years ago fifteen-year-old Callum Roe and his younger brother, James, were captured and forced to convert to the Glorious Path. While working in the Path's dog kennels, Cal became very close to becoming one of the Path's deadliest secret agents. When Cal comes across a stray dog named Bear he kills the commander who wants to train him to be a vicious attack dog. This sends the two of them on the run, and sets in motion a series of incredible events that will test Cal's loyalties and end in a fierce battle that the fate of the entire country rests on. The Darkest Path is the third novel that I've read of Jeff Hirsch. All of his novels have a certain brutality to them. Yet, at the same time I find myself wanting more from them in the end. That is again the case with this novel. This book reads like a cross between a dystopian and post-apocalyptic novel. The world building is done fairly well. You get a general sense of your surroundings, but the details to the scene are missing. With a dystopian novel I'm looking for a real sense of overwhelming doom from the looming governmental threat. I felt that this is where The Darkest Path lacked the most. In general, I felt like this was on the lighter side of this genre, even with the darker touches thrown in every now and then. The shining light to this book for me was Bear. Anytime an animal is used as one of the 'main characters', I become a sucker. It was executed very well in this book. In the end, I did enjoy reading The Darkest Path. I don't think this book is apart of a series. I do wish the author had fleshed out more of the journey. The end happened rather quickly and I think it would have had a much stronger impact if it had been longer. I encourage fans of this author not to miss this novel. The Darkest Path is a unique novel by itself. It never has a boring part and is always suspenseful. The main character, Cal, has many problems by the end of the book that many of them are stranded without an answer. Even throughout the book you never know what Cal will get stuck in or end up doing. It is always a mystery. In the book it cannot just read it, you have to think about what is going to happen and if this could ever happen in real life. That is the mystery about this book. It is so rea The Darkest Path is a unique novel by itself. It never has a boring part and is always suspenseful. The main character, Cal, has many problems by the end of the book that many of them are stranded without an answer. Even throughout the book you never know what Cal will get stuck in or end up doing. It is always a mystery. The Darkest Path is a book written by Jeff Hirsch which is about a war between the Glorious Path, and the U.S. government. The book focuses on one character most who's name is Callum Roe, also know as Cal. Cal works in the Path's dog kennels, training and taking care of the dogs they have. Cal has a relationship with this one dog names Bear, one of the Path's commanders wants to train bear to be an attack dog, but Cal doesn't want Bear to be. Cal kills the commander takes Bear and runs away. T The Darkest Path is a book written by Jeff Hirsch which is about a war between the Glorious Path, and the U.S. government. The book focuses on one character most who's name is Callum Roe, also know as Cal. Cal works in the Path's dog kennels, training and taking care of the dogs they have. Cal has a relationship with this one dog names Bear, one of the Path's commanders wants to train bear to be an attack dog, but Cal doesn't want Bear to be. Cal kills the commander takes Bear and runs away. When I first started reading this book, I was hesitant, as it wasn't very exciting, and I had other things I wanted to do. But after the first forty pages, I got pulled into the story, and was unable to put it down until I finished it. I found Cal's struggles to be very realistic, and the author did an amazing job cluing us in on what Cal was thinking, and why he was thinking that. I have to say, though, Bear's inclusion did seem a little forced, and I was really left wondering what purpose the do When I first started reading this book, I was hesitant, as it wasn't very exciting, and I had other things I wanted to do. But after the first forty pages, I got pulled into the story, and was unable to put it down until I finished it. I live in an extremely Brazilian section of an extremely Greek neighborhood—Astoria, Queens, which is just to the right of Manhattan. (That's as you face Manhattan. If you were, say, lying on your back in the middle of Central Park with your head in a northerly position, we would be to your left) I live there with my wife who has a blog and our two cats who do not. O Here are some things about me. The second, is The Eleventh Plague and it comes out Sept. 1, a fact I still find pretty amazing.